(Bloomberg) -- President Lenin Moreno said that the decision to kick out Julian Assange from Ecuador’s Embassy in London was his nation’s alone and didn’t involve the U.S., where the WikiLeaks founder faces charges for a hacking conspiracy. 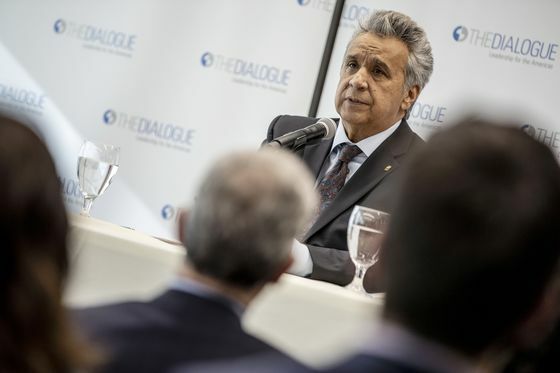 "When Vice President Mike Pence asked me what I’d do with Mr. Assange, I said that that would be a sovereign decision of the people of Ecuador," Moreno said at an event hosted by think tank The Inter-American Dialogue during a visit to Washington on Tuesday. 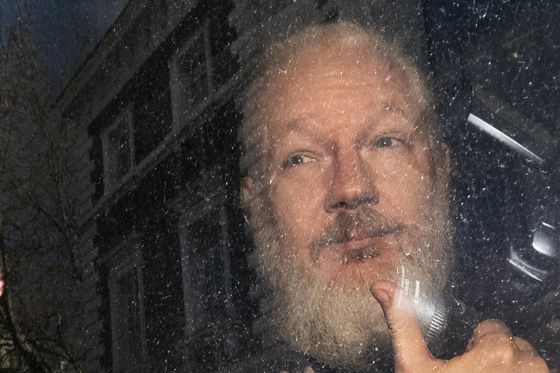 Assange’s arrest last week ended a nearly seven-year standoff between the transparency advocate and British authorities. The Australian initially faces punishment for jumping bail, but he could prolong a battle over attempts to extradite him to the U.S. The 47-year-old had been in the building since 2012, when he entered to escape questioning in a Swedish sexual-assault case. That probe was dropped, but he remained in a small apartment in the embassy. From his refuge, Assange ran a team of computer hackers seeking information of interest to him and his financial backers, Moreno said. Ola Bini, a Swedish software developer arrested last week at Quito’s international airport, is suspected to have been among them, Moreno added. Bini’s father earlier Tuesday denied any wrongdoing by his son. Bini’s lawyer, Carlos Soria, said that he had worked in Ecuador to safeguard websites from hacking and that his rights to due process were violated with his arrest.